BY GERALDINE AGIREMBABAZI | Mid last month, more than 400 participants from 35 countries of Africa, Europe, Asia and America gathered at Kempinski Hotel Gold Coast city in Accra-Ghana for the 5th African Health Economic and Policy Association (AfHEA) Biennial Scientific Conference to discuss the innovative ways for securing primary health care (PHC) for all. It was a momentous event, celebrating the 10th anniversary of the AfHEA’ s existence and the progress made on attainment of universal health coverage (UHC) in Africa as well as strategizing for the opportunities ahead. The conference was preceded by a package of preconference workshops that offered a variety of choices. Given my particular interest in health equity analysis and quantitative research, I chose to attend the workshop on tracking progress towards UHC held on March 11, 2019. It was a great learning experience about the quantitative methods used in health economics to measure UHC progress, defined as a situation where everyone – irrespective of their ability-to-pay – gets the health services they need, without suffering undue financial hardship. The session focused on the application of World Bank’s ADePT software. In addition, I was introduced to the Health Equity and Financial Protection Indicator (HEFPI) database and portal. This knowledge greatly complemented the work that I have been doing with the Countdown to 2030 Eastern and Southern Africa (ESA) Regional initiative for Women’s, Children’s and Adolescents’ health, a multi-institutional partnership aiming to accelerate momentum to achieve Sustainable Development Goals (SDGs) around ending preventable maternal, newborn, and child deaths. I was introduced to relevant concepts including principles of measurement of equity in service coverage, and of financial protection in health as core dimensions of UHC. On the practical plane, we used Stata software modules, CONINDEX and FPRO. We further considered the pitfalls in their operationalization using household survey data. With regards to the pitfalls of survey data, I particularly learned not to take things at face value when it comes to dealing with UHC indicators from household data but to check features like validity, precision and consistency. As someone that has been using Demographic and Health survey (DHS) and Multiple Indicator and Cluster Survey (MICS) data for a while, it was interesting and eye-opening to learn that some validation studies had showed unreliability of some indicators. Inconsistencies in the two surveys had also been shown between indicator definitions like skilled birth attendance and full immunization. It is advisable to use data from comparable databases like HEFPI. Health inequities related to MNCH exist along stratifiers such as wealth, geography and residence. 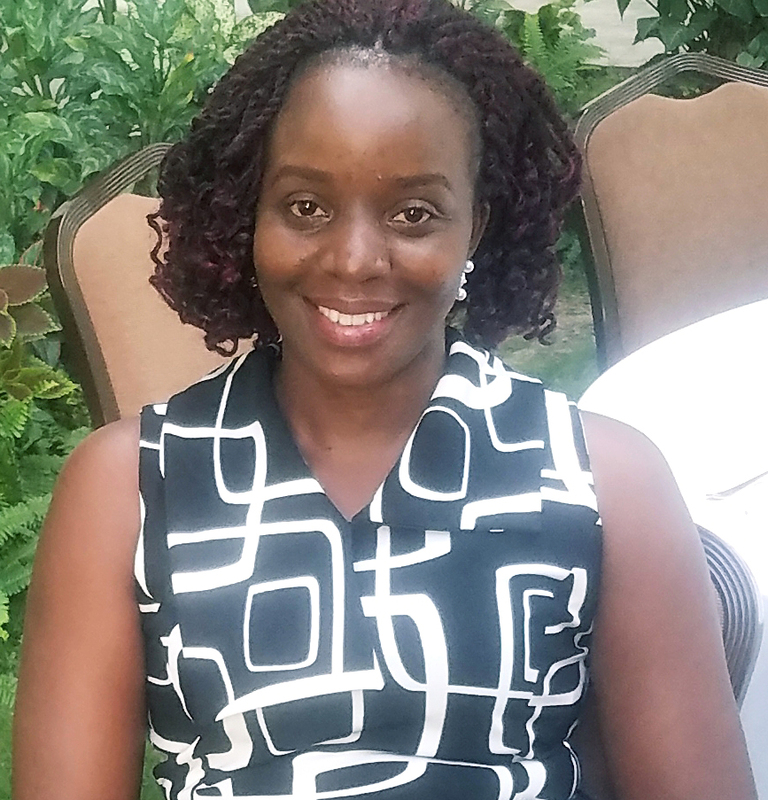 Proposed actions to address existing health inequities between rich and poor, rural and urban dwellers so that all have equitable coverage of basic health services in order to accelerate progress towards ending preventable maternal and child deaths, regardless of where they live or their ability to pay. 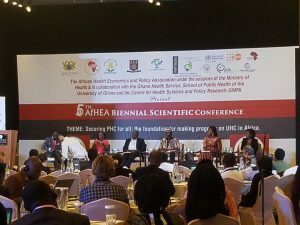 Reflecting on my presentation and the pre-conference session on tracking UHC, the critical need to invest in data and research to drive evidence-informed decision making for UHC is paramount. Capacity development in this area is critical to appreciate the different analyses and approaches that can be used to derive policy relevant evidence from routinely collected survey data. There is need to harmonise databases and ensure that validity and consistent assessments are done to address any misrepresentations that may drive policy and programs in wrong directions. Finally, the current UHC indicators measure mainly ill-health and accessing health care services. There is need to invest in indicators that measure good health and wellbeing in the spirit of SDG3 that focuses on ensuring food Health and well-being. Overall, I felt that AfHEA taught me that achieving UHC is a journey and not a destination. We need to diagnose, intervene, verify and adjust as we progress towards the desired goal. And as was emphasized at the closing ceremony, we cannot ignore the youth on this journey to UHC. Thanks to platforms like AfHEA, attainment of the SDGs of leaving no one behind are within reach. *The author works as an M & E Specialist with the COMONETH Project under the HPPM Department of Makerere University School of Public Health.